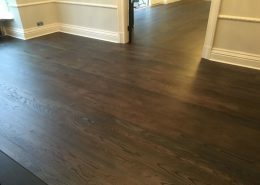 Ashley wooden flooring was originally established as a wooden floor restoration business so we have a vast knowledge of repair and restoration techniques required to refinish you wooden flooring. 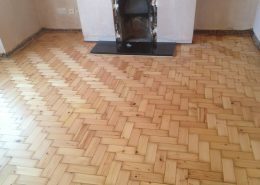 The sanding machines we use are without doubt the best on the market and are virtually dust free! 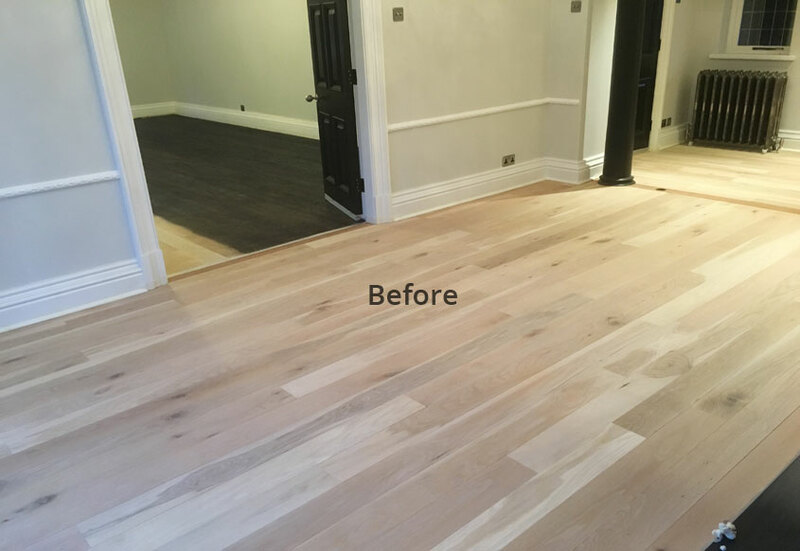 Our Sanding and Sealing service extends to being able to offer a wide range of stains and finishes and we use the best quality Lacquers & Oils from Bona and Osmo giving you the exact look required. The finishes include clear natural and matt lacquers through to white pigmented products to achieve that truly natural look! 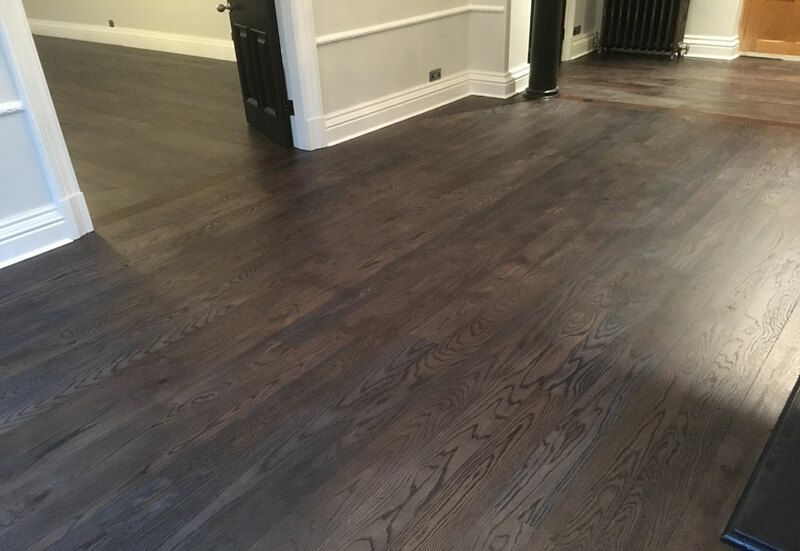 We are also now using coloured stains and oils that range from White to Greys or even a Dark Oak finishes which will transform your tired old wooden floor and bring it back in line with today’s current trends. Our interior design service can also help you choose the best paints and colours to help you transform your room even further. Please contact us for more info. Pine wood block flooring sanded and finished with extra matt wood floor lacquer. 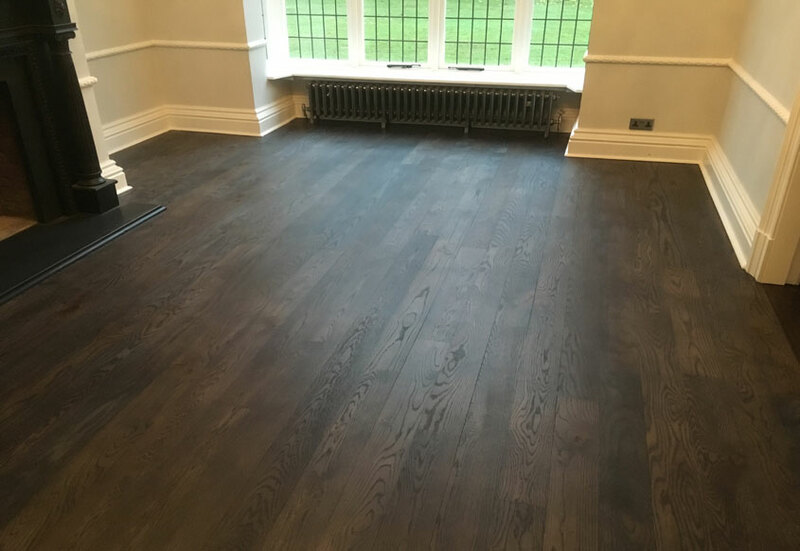 To book a consultation to renovate your wood flooring contact us via the web form or call us on 01606 835153. Original light wood flooring repaired, sanded and stained in Black and sealed with extra matt lacquer for long lasting protection with a natural look.